Angie Thien for "Why in Film"
It’s a dark, dark start to the year 2012 with dramas and thrillers taking a significant space at the box office. Hollywood’s response to a best selling book, this version was already expected to be much more commercial than the Swedish-film-interpretation. 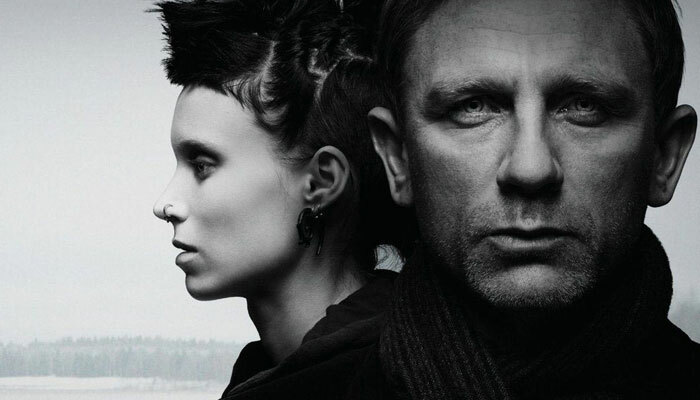 The story follows Daniel Craig as the truth-seeking journalist, Mikael Blomkvist and Rooney Mara as the Girl with the Dragon Tattoo herself, as they try to solve a 40-year-old mystery. An alien attack hits Moscow and four young people find themselves fighting to survive. The aliens are invisible, seemingly invincible, and after earth’s energy sources. A welcome return of Jet Li, The Flying Swords of Dragon Gate starts 3 years after the Dragon Inn was burned down. The Inn is said to be on land where an ancient city is buried, which is reveled y a desert storm every 60 years. A retired MI6 Agent tries to adjust to a normal life, when he is forced back into the game. On the hunt to find who betrayed him and his country, George Smiley comes into contact with friends and foes of his past.